BossFeed Briefing for April 1, 2019. Last Monday, Uber and Lyft drivers in Los Angeles held a 25-hour strike over 25% pay cuts. 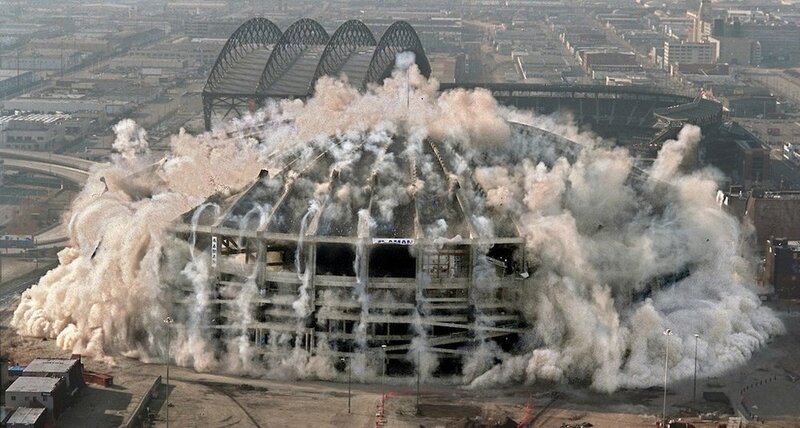 Last Tuesday was the 19th anniversary of Seattle's Kingdome being imploded. Last Wednesday, a federal judge barred states from imposing work requirements for Medicaid. Last Friday was supposed to be the day Brexit happened, but it wasn't and it didn’t. And today the calendar provides opportunity for jerks to be their jerky selves and call it a holiday prank. McDonald’s told the National Restaurant Association they will no longer support lobbying against raising the minimum wage. The company says they want to “advance” the debate rather than “impede” it. A new law has taken effect in Japan which limits the numbers of hours of overtime which can be worked by hourly employees. The new law also provides that in order to be exempt from receiving overtime pay for overtime hours in Japan, you have to be paid at least the equivalent of about $97,000/year. Our bill to improve safety and security for dancers at strip clubs was heard in the State Senate labor committee last Monday. And dancers’ voices are getting through at the state capitol — the bill advanced out of committee last Thursday with a unanimous 7-0 vote. WTF? NASA abruptly canceled plans for the first-ever all-female spacewalk, which had been promoted as a way for the space agency to mark Women’s History Month. Turns out that while they had two highly-qualify female astronauts already in orbit, they only had one correctly-sized spacesuit. WTAF? The multi-billionaire German family which owns Einstein Brothers Bagels, Stumptown Coffee, Panera Bread, Krispy Kreme, and other food chains, had close ties to the Hitler-era Nazi Party in Germany, benefitted from forced labor, and financially supported the SS. The company said that they are aware of this link, and therefore are studying their family history and donating $11 million to charity. Private equity vultures have squeezed the retail industry past the point of bleeding, with Gymboree among the multiple chains which have recently gone bankrupt. In fact, the profiteering has gotten so extreme that The Intercept reports that even middle-ranking executives are seeing broken promises, including at Gymboree where a longstanding executive severance plan was suddenly eliminated… putting VPs in the same boat at 10,000 front-line retail workers with nothing to show after the company liquidated. But don’t worry: the handful of executives at the top of the top still got the multi-million-dollar handouts they’re accustomed to. As a final kicker, note that the company was gutted in large part by Bain Capital, the private equity company founded by Mitt Romney.